Shintaido adopts many of the traditions of the Japanese martial arts. A Shintaido practice (keiko) takes place in a protected space or room (dojo); practitioners wear loose white costumes (gi), and follow the instruction of a teacher (sensei). 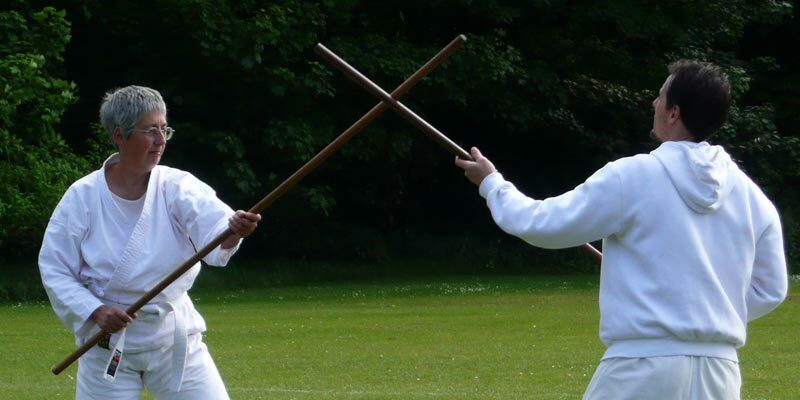 Shintaido is practised with bare hands, but the curriculum also includes bojutsu, involving the use of the long staff (bo), and kenjutsu, using a wooden sword (or bokuto). Its forms can be large and dynamic, or soft and flowing. A Shintaido class may be energetic and challenging, or gentle, depending on the needs of the students. All classes, though, seek to find a natural movement beyond the confines of the everyday, to help practitioners open both body and mind, and to find intuitive connection with others. A class begins with long, soft warm-up exercises designed to release tension and loosen the body. It progresses to whole-body exercises and techniques that use voice and vigorous movement to expand the student’s range of motion, imagination, and physical expressiveness. Partner exercises are important. These include simple Japanese massage (shiatsu), stretches and other exercises that emphasize physical communication between partners. For new practitioners, Shintaido does not involve self-defence or combat techniques. While some techniques involve gentle rolling on the floor, kicking, punching and throwing do not normally form part of the early years of study. Each class finishes with a standing or moving meditation that allows students to regain their balance and breathing in a new state of relaxation and awareness. For the safety and benefit of all, Shintaido instruction is monitored through a globally agreed curriculum and examination system. 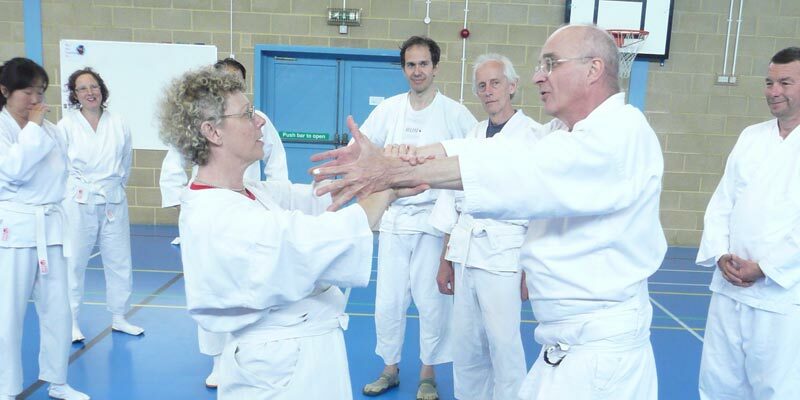 It takes a minimum of four years for a practitioner to become an Instructor (the equivalent of a dan-grade or black belt in other Japanese martial arts), and all Instructors are expected regularly to study with the most senior practitioners (up to 5th dan). If you wish to experience Shintaido for yourself your first option is to find a local class. Find one in your area or visit a class in another area. 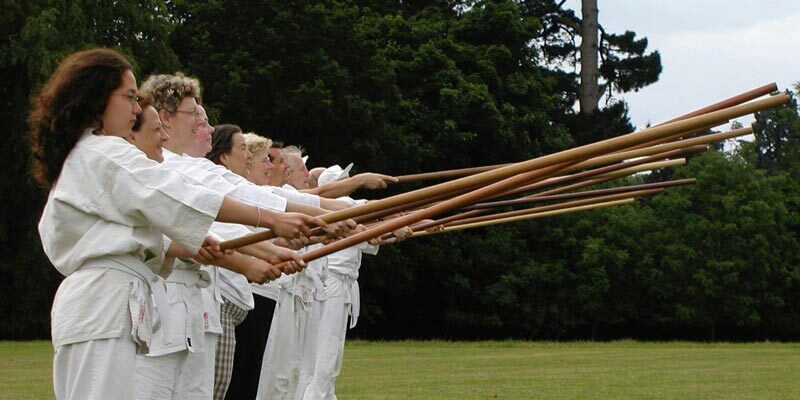 British Shintaido is the organisation that supports and develops Shintaido practice in Britain. It runs regular workshops and residential events. Though not required, many people like to take exams to challenge a new level of technique and understanding. Read more about the grading system, exam levels, curriculum and eligibility. Sign up for news of British Shintaido events and workshops by entering your details below. We do not share your information with third parties. Membership starts from just £30 per year and benefits include significant discounts at BS events and equipment purchases, as well as the paper version of Taimyo magazine. It is also a requirement if you wish to take exams.